Our latest white paper looks at the online behaviour of vehicle buyers interested in electric vehicles. Four years ago we looked at the difficulties the automotive OEMs were having trying to sell electric vehicles to skeptical consumers. Much has changed since then to move things in a positive direction, but in most European countries the uptake of electric vehicles (EVs) has been slow. 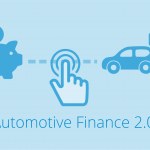 This new whitepaper from Sophus3 looks at where and how progress has been made, and what we can learn from consumers’ online behaviour which could guide the vehicle manufacturers’ efforts in this area. Whilst overall sales of EVs remain small in Europe, growth in the later part of 2017 saw a year-on-year increase of 60%. This was assisted by a ‘flight from diesel’ where registrations declined more than 4% in the first half of the year in the EU market. Both ‘sticks and carrots’ are driving this uptick. ‘Sticks’ take the form of city and regional bans of internal combustion engine (ICE) cars, with nationwide bans set for 2040 in the UK and France. 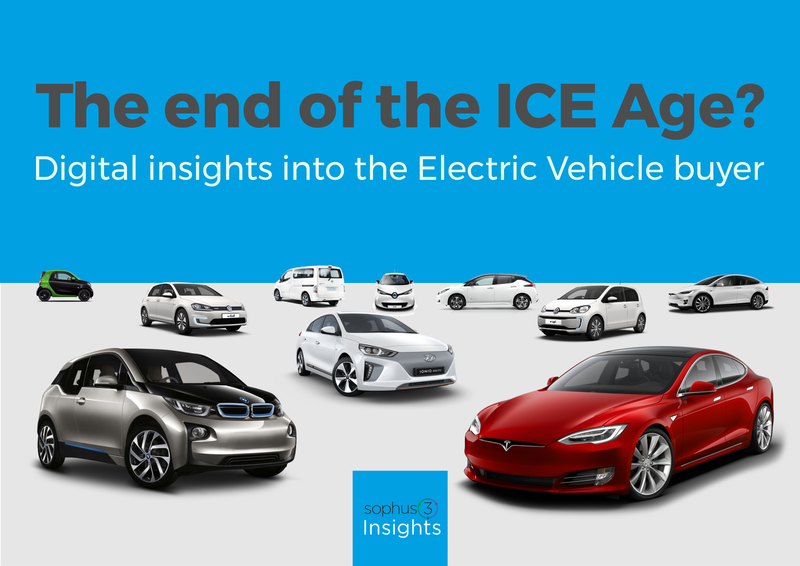 But positive factors are also attracting EV sales including battery and range improvements, a greater choice of vehicles on offer, and a convergence of the total cost of ownership for an EV with that for a conventional ICE car. EV buying patterns are starting to mirror those of ICE cars, tracking the established peaks and troughs which suggests further ‘normalisation’ of the technology. In 2017 the percentage of visitors to a site who looked at EV models increased, whilst interest in, and traffic to, other models declined in line with the down turn in the car market. Using established KPIs of the ratio of visitor numbers to vehicle sales and the costs involved, we can see that whilst EVs more easily attract consumer interest the cost of winning a sale remains far higher for an EV. The online journey of the EV customer shows a greater hunger for information and, potentially, more openness for contact with the car brand. They also appear more disposed to undertake a test drive. But EV buyers remain presently in a ‘silo’ of interest, choosing to look at a limited set of ‘green models’. EVs do not yet appear within the consideration set for ‘mainstream’ cars. 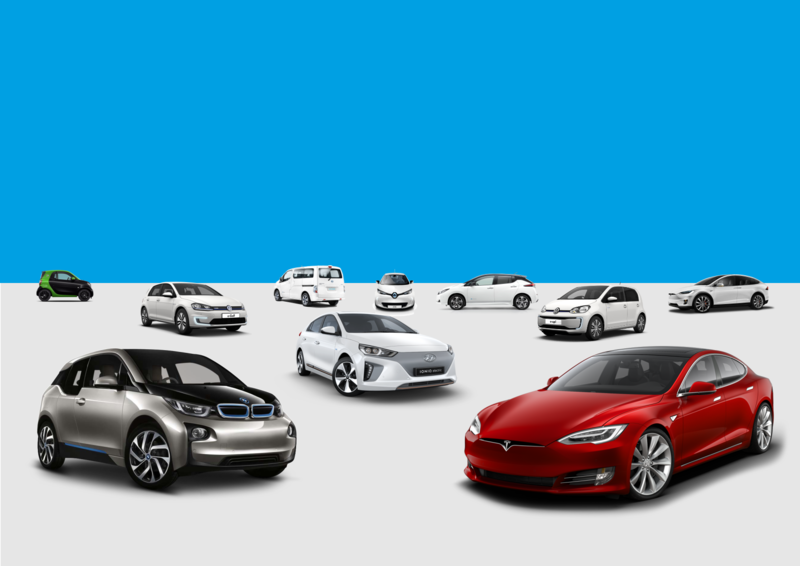 Car brands are evolving different strategies to sell electric vehicles. Whichever they adopt, the digital data suggests they need to focus on the consumer and the need for information and guidance. EV buyers, for the moment, require a customised ‘funnel’ and car makers need to better understand the particular needs and expectations of this group. The Sophus3 Insights white paper, “The end of the ICE age? – Digital insights into the electric vehicle buyer” will be published and available for download on Tuesday 16th January. Is 2018 the end of the ICE age?